What’s white and fluffy as snow, but way more cuddly? Shaun! 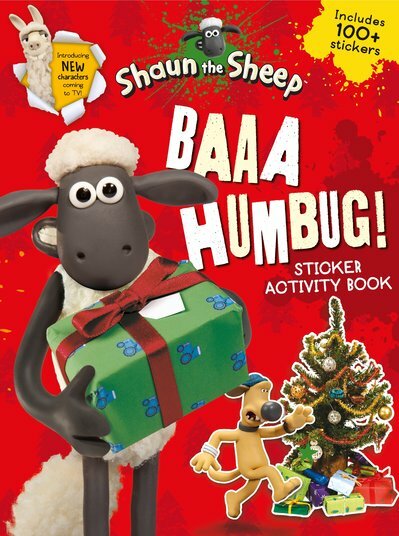 His baarmy Christmas book has puzzles, stickers and festive fun galore. Welcome to Christmas at Mossy Bottom Farm. Time for woolly winter fun and snowball fights! Shaun and his flock need your help to decorate their tree, dodge mistletoe (ugh!) and spread holiday cheer. So open this book – full of festive puzzles, colouring pages and stickers. The funbook we all want to find in our stockings this year.